Learn how to incorporate inclusive, Autism-friendly activities in your regular parks and rec offerings. Leverage our pro tips to increase registrations and revenue. Experiencing a sense of teamwork and accomplishment and learning to embrace and enjoy routine fitness and physical activity are some of the most critical developmental lessons all young people deserve to enjoy. For the more than 3.5 million Americans living with an autism spectrum disorder (ASD), for whom social and physical interactions can pose a challenge, such experiences are even more necessary and valuable. Autism is recognized as the fastest-growing developmental disability, which is why for a parks and recreation department that is committed to ensuring equitable access to activities, facilities, and resources, it is essential that your offering include autism-friendly activities. ASD is a complex developmental disability whose symptoms typically first appear during childhood and adolescence. Individuals with ASD often face difficulties communicating and interacting with others. As a “spectrum” condition, individuals with ASD can experience a wide range of symptom severity. While there is no known cause of ASD, experts assert that early diagnosis and access to support services dramatically improves outcomes. Your parks and recreation department is committed to helping its youth develop social skills and physical confidence during their formative years. For those living with ASD, experiencing positive recreation opportunities can enhance their physical, social, and cognitive abilities as they develop the skills needed to overcome barriers presented by their condition. While you develop Autism-friendly parks and rec activities, familiarize yourself with applicable legal obligations to ensure accessibility of facilities and activities. Title II of the Americans with Disabilities Act (ADA) prohibits discrimination against individuals with disabilities by any state or local government agency. Developing inclusive programs and accessible facilities is necessary to ensure all community members feel welcome to participate in activities, and it protects your administration from the risk of penalty fines. As you work to establish autism-friendly activities in your parks and rec program offering, consider the following implementation and programming best practices. 1. Consider Comprehensive Activities Beyond Athletics. Some youth with ASD may struggle with athletics, or they may have very singular interests. Make sure your offering includes classroom style leisure activities along with athletics. Consider classes that would allow young people to play board games or practice artistic skills like painting, drawing, music, or photography. 2. Offer Individual Sport Activities. Some children with ASD may be more comfortable with individual, rather than team activities that could foster feelings of social stress. Sports such as cross-country skiing, golf, tennis, biking, swimming, and tennis may offer them greater comfort. 3. Staff an Inclusive Recreation Coordinator. 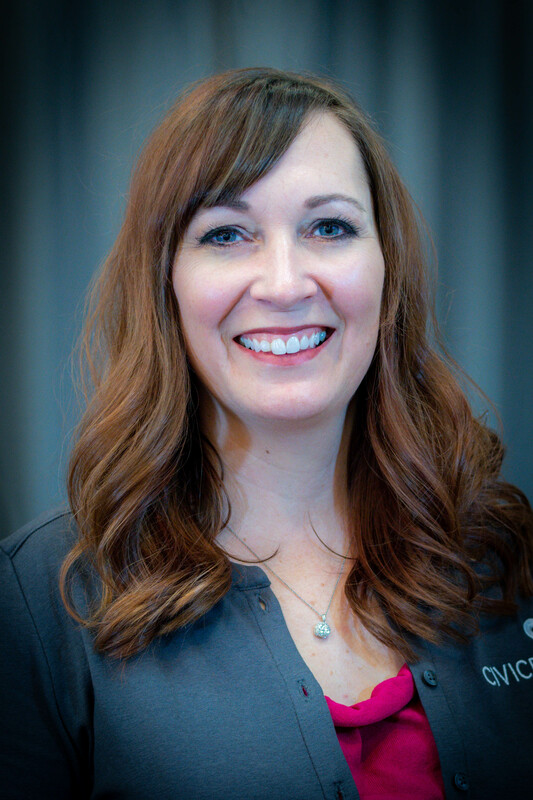 Depending on the size of your community and your parks and rec department, you may find that success will be contingent upon hiring a dedicated resource, such as an inclusion recreation coordinator or a certified therapeutic recreation specialist to facilitate programming accommodations and train instructors on safety protocols. Your inclusion recreation coordinator may also serve as a dedicated resource for parents or participants during the registration process to answer questions about reasonable accommodations and service opportunities. 4. Consider Autism-Specific Sporting Activities. While youth with ASD should have an opportunity to interact with all their peers socially, Autism-specific sporting activities will also provide them with a chance to socialize with other young people who they may identify with and will allow facilitators to focus on ASD-specific program accommodations. 5. Seek Out Grant Funding. If your parks and rec department is in need of additional funding to make facility modifications, add staff, or create new program offerings, consider available grant funding opportunities to help cover implementation costs. 6. Provide Staff Training. Not only should staff be trained on disability awareness, activity adaption, communications, and accommodation procedures at the time of their hire, but by hosting ongoing training, you will further reinforce the importance of inclusion and keep such critical topics as safety and confidentiality top-of-mind throughout the year. 7. Market Activities as ASD-Friendly. Promote in all your marketing communications, including your online course catalog and recreation management registration system, that your activities are ASD-friendly. Parents looking for activities for their children will be comforted knowing they are registering their child for a class in which they will be supported, and their unique needs will be addressed. 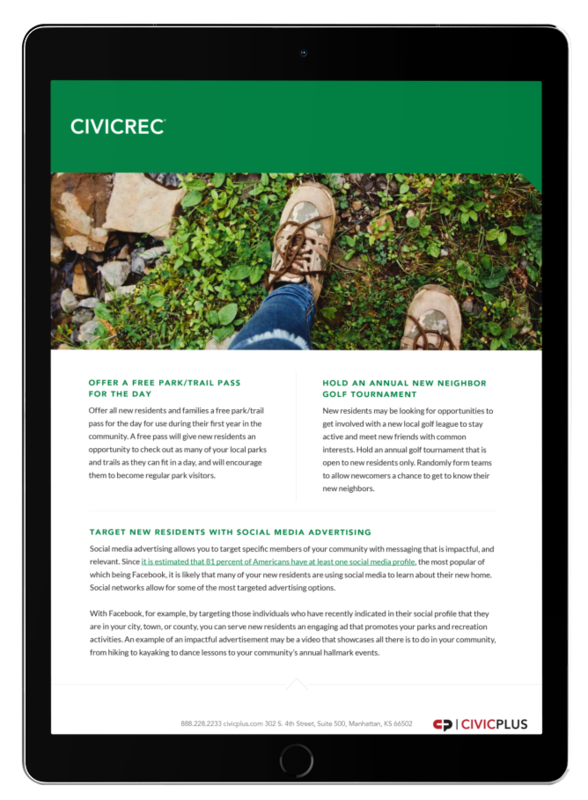 Click below to download our fact sheet to learn how to promote your parks and rec activities using social media. After you have offered your autism-friendly activities for a season or a calendar year, survey parents and participants to gather their feedback on how else your community can serve the diverse needs of its citizens. Ongoing awareness and support for the needs of young people with ASD will support a collective effort to break down barriers and create inclusive communities.